Both Kenny and Kurtis Roberts will rejoin their MotoGP teams for the final round of the 2004 championship at Valencia on Sunday, October 31. Kenny Roberts will take his place in the factory Suzuki team alongside John Hopkins having missed three races due to a dislocated left elbow fromt he first-corner tangle at Motegi in September. 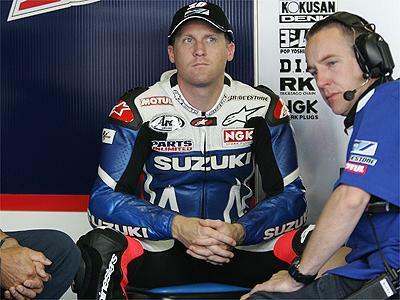 He returns for the final race for current Team Suzuki manager Gary Taylor. Meanwhile younger brother Kurtis returns for Proton Team KR having missed the last five races with a fractured elbow and wrist after a practice crash at Brno in August. He had been replaced by British rider James Haydon during his recovery. The Proton KR team finish their nineteenth season in the GP series, with tests of the KTM V4 engine in the Proton V5 chassis scheduled for November.